This entry was posted on Tuesday, April 13th, 2010 at 1:18 am by rtmsf	and is filed under randomness. Tagged: advertising, duke, nike. You can follow any responses to this entry through the RSS 2.0 feed. You can leave a response, or trackback from your own site. That is so pretentious. I kind of want to punch something. Well, I can put this ad on the list of reasons as to why I hate Nike. Let’s see if we can come up with a few more, shall we? Actually, these three are pretty much all I need. 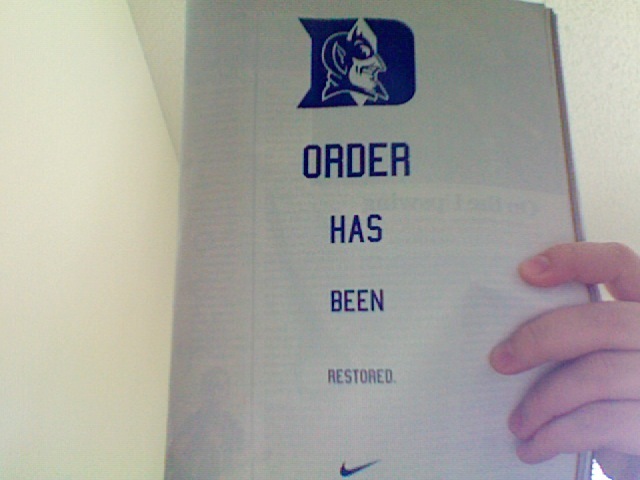 This ad is pretty gutsy by Nike because it Duke is such a polarizing team. I can’t say I approve of it based on my dislike of all things Duke, but this is also a pretty big slap in the face of all the other schools that wear the swoosh. Think of the past 5 years of national champions for a minute… Florida (twice), Kansas (adidas), Carolina and Duke. 3 of the 4 teams to win an NCAA title during that span were Nike brand teams and they didn’t put out ads like this for either Florida (for obvious reasons being their first and second) and Carolina, which is usually seen as one of the bluebloods of college basketball and currently has the 2nd most wins in college basketball. 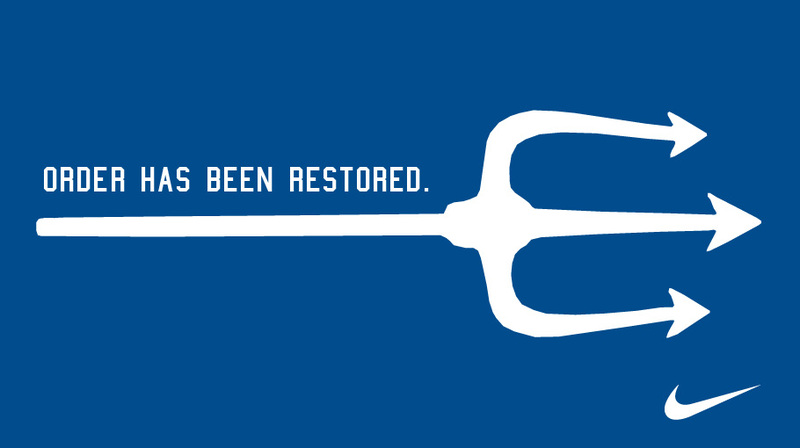 This move by Nike to put out this ad baffles me on so many levels because it alienates so much of their potential and current customers who hate Duke. I hope somewhere the person in charge of this was fired and they print up some sort of a retraction. This ad epitomizes everything that people hate about Duke. It’s a shame – Nikes work pretty well for me as far as sizing is concerned. I wonder if I can get New Balance basketball shoes in a 15?